This article is about the Arab renaissance movement of the late 19th – early 20th century. For other uses, including contemporary political movements, see Al-Nahda (disambiguation). Al-Nahda (Arabic: النهضة‎‎ / ALA-LC: an-Nahḍah; Arabic for "awakening" or "renaissance") was a cultural renaissance that began in the late 19th and early 20th centuries in Egypt, then later moving to Ottoman-ruled Arabic-speaking regions including Lebanon, Syria and others. It is often regarded as a period of intellectual modernization and reform. The Egyptian nahda was articulated in purely Egyptian terms, and its participants were mostly Egyptians, and Cairo was the geographical center of the movement. But al-Nahda was also felt in neighboring Arab capitals, notably Beirut and Damascus. The shared language of Arabic-speaking nations ensured that the accomplishments of the movement could be quickly picked up by intellectuals in Arab countries. In the Ottoman-ruled Arabic regions, major influence and motive were the 19th century tanzimat reforms of the Ottoman Empire, which brought a constitutional order to Ottoman politics and engendered a new political class and later the Young Turk Revolution, which allowed proliferation of press and other publications. The Egyptian scholar Rifa'a el-Tahtawi (1801–1873) is widely seen as the pioneering figure of the Nahda. He was sent to Paris in 1826 by Muhammad Ali's government to study Western sciences and educational methods, although originally to serve as Imam for the Egyptian cadets training at the Paris military academy. He came to hold a very positive view of French society, although not without criticisms. Learning French, he began translating important scientific and cultural works into Classical Arabic. He also witnessed the July Revolution of 1830, against Charles X, but, perhaps understandably, was careful in commenting on the matter in his reports to Muhammad Ali. His political views, originally influenced by the conservative Islamic teachings at El Azhar university, changed on a number of matters, and he came to advocate parliamentarism and women's education. After five years in France, he then returned to Egypt to implement the philosophy of reform he had developed there, summarizing his views in the book Takhlis al-Ibriz fi Talkhis Bariz (sometimes translated as The Quintessence of Paris), published in 1834. It is written in rhymed prose, and describes France and Europe from an Egyptian Muslim viewpoint. Tahtawi's suggestion was that the Egypt and the Muslim world had much to learn from Europe, and generally embraced Western society, but also held that reforms should be adapted to the values of Islamic culture. This brand of self-confident but open-minded modernism came to be the defining creed of al-Nahda. Butrus al-Bustani (1819–1893) was born to a Lebanese Maronite Christian family in the village of Dibbiye in the Chouf region, in January 1819. A polyglot, educator, and activist, al-Bustani was a tour de force in the nahda centered in mid-nineteenth century Beirut. After becoming involved with the American missionaries, he converted to Protestantism becoming a leader in the native Protestant church. Inititally, he taught in the schools of the Protestant missionaries at 'Abey and was a central figure in the missionaries' translation of the Bible into Arabic. Despite his close ties with the Americans, al-Bustani increasingly became independent eventually breaking away. After the bloody 1860 Druze–Maronite conflict and the increasing entrenchment of confessionalism, al-Bustani founded the National School or al-madrasa al-wataniyya in 1863 on secular principles. This school employed the leading nahda "pioneers" of Beirut and graduated a generation of nahda thinkers. At the same time, he compiled and published several school textbooks and dictionaries to become known famously as the Master of the Arabic Renaissance. In the social, national and political spheres, al-Bustani founded associations with a view to forming a national elite and launched a series of appeals for unity in his magazine Nafir Suriya. In the cultural/scientific fields, he published a fortnightly review and two daily newspapers. In addition, he began work, together with Drs Eli Smith and Cornelius Van Dyck of the American Mission, on a translation of the Bible into Arabic known as the Smith-Van Dyke translation. His prolific output and groundbreaking work led the creation of modern Arabic expository prose. While educated by westerners and a strong advocate of western technology, he was a fierce secularist, playing a decisive role in formulating the principles of Syrian nationalism (not to be confused with Arab nationalism). Stephen Sheehi states that al-Bustani's "importance does not lay in his prognosis of Arab culture or his national pride. Nor is his advocacy of discriminately adopting Western knowledge and technology to "awaken" the Arabs' inherent ability for cultural success (najah) unique among his generation. Rather, his contribution lies in the act of elocution. That is, his writing articulates a specific formula for native progress that expresses a synthetic vision of the matrix of modernity within Ottoman Syria." Hayreddin Pasha al-Tunsi (1820-1890) had made his way to Ottoman Tunisia as a slave, where he rose through the ranks of the government of Ahmad Bey, the modernizing ruler of Tunisia. He soon was made responsible for diplomatic missions to the Ottoman Empire and the countries of Europe, bringing him into contact with the Western ideals, as well as with the Tanzimat reforms of the Ottoman Empire. He served as Prime Minister of Tunisia from 1859 until 1882. In this period, he was a major force of modernization in Tunisia. In numerous writing, he vision of a seamless blending of Islamic tradition with Western modernization. Basing his beliefs on European Enlightenment writings and Arabic political thought, his main concern was with preserving the autonomy of the Tunisian people in particular, and Muslim peoples in general. In this quest, he ended up bringing forth what amounted to the earliest example of Muslim constitutionalism. His modernizing theories have had an enormous influence on Tunisian and Ottoman thought. Sayyid Jamal-al-Din Afghani advocated Islamic unity in the face of an increasingly stronger Christian Europe. In the religious field, Jamal al-Din al-Afghani (1839–1897) gave Islam a modernist reinterpretation and fused adherence to the faith with an anti-colonial doctrine that preached Pan-Islamic solidarity in the face of European pressures. He also favored the replacement of authoritarian monarchies with representative rule, and denounced what he perceived as the dogmatism, stagnation and corruption of the Islam of his age. He claimed that tradition (taqlid, تقليد) had stifled Islamic debate and repressed the correct practices of the faith. Al-Afghani's case for a redefinition of old interpretations of Islam, and his bold attacks on traditional religion, would become vastly influential with the fall of the Caliphate in 1924. This created a void in the religious doctrine and social structure of Islamic communities which had been only temporarily reinstated by Abdul Hamid II in an effort to bolster universal Muslim support, suddenly vanished. It forced Muslims to look for new interpretations of the faith, and to re-examine widely held dogma; exactly what al-Afghani had urged them to do decades earlier. Al-Afghani influenced many, but greatest among his followers is undoubtedly his student Muhammad Abduh (1849–1905), whose teachings would play a similarly important role in the reform of the practice of Islam. Like al-Afghani, Abduh accused traditionalist Islamic authorities of moral and intellectual corruption, and of imposing a doctrinaire form of Islam on the ummah, that had hindered correct applications of the faith. He therefore advocated that Muslims should return to the "true" Islam practiced by the ancient Caliphs, which he held had been both rational and divinely inspired. Applying the original message of the Prophet Muhammad with no interference of tradition or the faulty interpretations of his followers, would automatically create the just society ordained by God in the Qur'an, and so empower the Muslim world to stand against colonization and injustices. Among the students of Abduh were Syrian Islamic scholar and reformer Rashid Rida (1865–1935), who continued his legacy, and expanded on the concept of just Islamic government. His theses on how an Islamic state should be organized remain influential among modern-day Islamists such as the Muslim Brotherhood. Shi'a scholars contributed to the renaissance movement, such as the linguist shaykh Ahmad Rida, the historian Muhammad Jaber Al Safa and Suleiman Daher. Important political reforms took place simultaneously also in Iran and Shi'a religious beliefs saw important developments with the systematization of a religious hierarchy. A wave of political reform followed, with the constitutional movement in Iran, to some extent paralleling the Egyptian Nahda reforms. Through the 19th century and early 20th centuries, a number of new developments in Arabic literature started to emerge, initially sticking closely to the classical forms, but addressing modern themes and the challenges faced by the Arab world in the modern era. In 1865, Syrian writer Francis Marrash published Ghabat al-haqq, an allegory which deals with ideas of peace, freedom and equality. Aleppine writer Qustaki al-Himsi is considered to have founded modern literary criticism, with one of his works, The researcher's source in the science of criticism. Maryana Marrash was the first Arab woman in the nineteenth century to revive the tradition of the literary salon in the Arab world, with the salon she ran in her family home in Aleppo. In 1914, Muhammad Husayn Haykal (1888–1956) published Zaynab, often considered the first modern Egyptian novel. Prose writing rapidly developed from this date. A group of young writers formed The New School, and in 1925 began publishing the weekly literary journal al-Fajr (The Dawn), which would have a great impact on Arabic literature. The group was especially influenced by 19th-century Russian writers such as Dostoyevsky, Tolstoy and Gogol. In poetry, the Egyptian Ahmad Shawqi, among others, began to explore the limits of the classical qasida, although he remained a clearly neo-classical poet. After him, others, including Hafez Ibrahim began to use poetry to explore themes of anticolonialism as well as the classical concepts. The Mahjar poets, of whom the most famous is the Lebanese Khalil Gibran (1883–1931), but which included other writers, in South America as well as the USA, further contributed to the development of the forms available to Arab poets. The Prophet, published in 1923 by the Boston-based Gibran, is perhaps the best known work of the era in the West, but was actually first written in English (Read The Prophet online here ). Gibran's associate in the Arab-American League of the Pen (al-Rabita al-Qalamiyya), Mikha'il Na'ima (1898–1989) would later return to Lebanon and contribute to the development of the novel there. 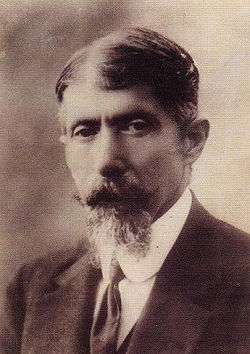 One of the main literary innovators in the later stages of al-Nahda was Prof. Taha Hussein (1889–1973), the blind child of an Egyptian peasant family who is today widely considered an intellectual giant of Egypt, and apart from his Qur'anic education at al-Azhar held triple doctorates from Cairo University, the University of Sorbonne and the University of Paris. He served as Minister of Education in Egypt in the 1950s, and was responsible for creating free and mandatory schooling. His best known book is the autobiographical el-Ayyam (The Days). The first printing press in the Middle East was in the monastery of St Anthony of Kozhaya in Lebanon and dates back to 1610. It printed Arabic books using the Syriac letters. The first printing press with Arabic letters, was built in St John's monastery in Khinshara, Lebanon by "Al-Shamas Abdullah Zakher" in 1734. The printing press operated from 1734 till 1899. In 1821, Muhammad Ali of Egypt brought the first printing press to Egypt. Modern printing techniques spread rapidly and gave birth to a modern Egyptian press, which brought the reformist trends of the al-Nahda into contact with the emerging Egyptian middle class of clerks and tradesmen. The Egyptian newspaper al-Ahram dates from 1875, and between 1870 and 1900, Beirut alone saw the founding of about 40 new periodicals and 15 newspapers. The efforts at translating European and American literature led to the modernization of the Arabic language [citation]. Many scientific and academic terms, as well as words for modern inventions, were incorporated in modern Arabic vocabulary, and new words were coined in accordance with the Arabic root system to cover for others. The development of a modern press (see above) ensured that classical Arabic spread through society in its updated form, Modern Standard Arabic, which is used still today all over the Arab world. The Lebanese scholar Butrus al-Bustani (1819–83) created, in the late 19th century, the first modern Arabic encyclopedia, drawing both on medieval Arab scholars and Western methods of lexicography, and Ahmad Reda created the first modern dictionary of Arabic, "Matn al-Lugha" ("Lisan al-Arab" was written in the 13th century). In 1876, the Ottoman Empire promulgated a constitution, as the crowning accomplishment of the tanzimat reforms (1839–76) and inaugurating the Empire's First Constitutional Era. It was inspired by European methods of government and designed to bring the Empire back on level with the Western powers. The constitution was opposed by the Sultan, whose powers it checked, but had vast symbolic and political importance. The introduction of parliamentarism also created a political class in the Ottoman-controlled provinces, from which later emerged a liberal nationalist elite that would spearhead the several nationalist movements, in particular Egyptian nationalism. Egyptian nationalism was non-Arab, emphasising ethnic Egyptian identity and history in response to European colonialism and the Turkish occupation of Egypt. This was paralleled by the rise of the Young Turks in the central Ottoman provinces and administration. The resentment towards Turkish rule fused with protests against the Sultan's autocracy, and the largely secular concepts of Arab nationalism rose as a cultural response to the Ottoman Caliphates claims of religious legitimacy. Various Arab nationalist secret societies rose in the years prior to World War One, such as Al-fatat and the military based al-Ahd. This was complemented by the rise of other national movements, including Syrian nationalism, which like Egyptian nationalism was in some of its manifestations essentially non-Arabist and connected to the concept of Greater Syria. The main other example of the late al-Nahda era is the emerging Palestinian nationalism, which was set apart from Syrian nationalism by Jewish immigration to Mandatory Palestine and the resulting sense of Palestinian particularism. ↑ Peter Gran, "Tahtawi in Paris," Al-Ahram Weekly Online, Issue No.568, 10–16 January 2002. ↑ Order and Compromise: Government Practices in Turkey from the Late Ottoman Empire to the Early 21st Century. BRILL. 2015-02-26. ISBN 9789004289857. ↑ الكعبي, ضياء (2005). السرد العربي القديم. بيروت: المؤسسة العربية للدراسات والنشر. p. 445. ISBN 9953-36-784-1. ↑ Watenpaugh, H. Z., p. 227; Watenpaugh, K. D., p. 52. ↑ Pascal Zoghbi, "[The First Arabic Script Printing Press in Lebanon: Arabic Type Designer & Typographer: Arabic Type. 29 letters 5 January 2009. Retrieved 11 December 2011.]". ↑ Sabri Al-Adl, "All the Pasha's Papers," Al-Ahram Weekly Online, Issue No. 742, 12–18 May 2005. Ira M. Lapidus, A History of Islamic Societies, 2nd Ed. Cambridge University Press, 2002. Karen Armstrong, The Battle for God, New York City, 2000. Samir Kassir, Considérations sur le malheur arabe, Paris, 2004. Stephen Sheehi, Foundations of Modern Arab Identity, University Press of Florida, 2004. Fruma Zachs and Sharon Halevi, From Difa Al-Nisa to Masalat Al-Nisa in greater Syria: Readers and writers debate women and their rights, 1858–1900. International Journal of Middle Eastern Studies 41, no. 4 (2009): 615 – 633. Plain talk – by Mursi Saad ed-Din, in al-Ahram Weekly. Tahtawi in Paris – by Peter Gran, in al-Ahram Weekly.